SUN?! WHAT?!! HELLO YOU JOYFUL BALL OF GAS YOU! NICE TO SEE YOU! It was sunny today, and I don't know if you heard, that doesn't happen very often here England. We, as a nation, are very excited about it. 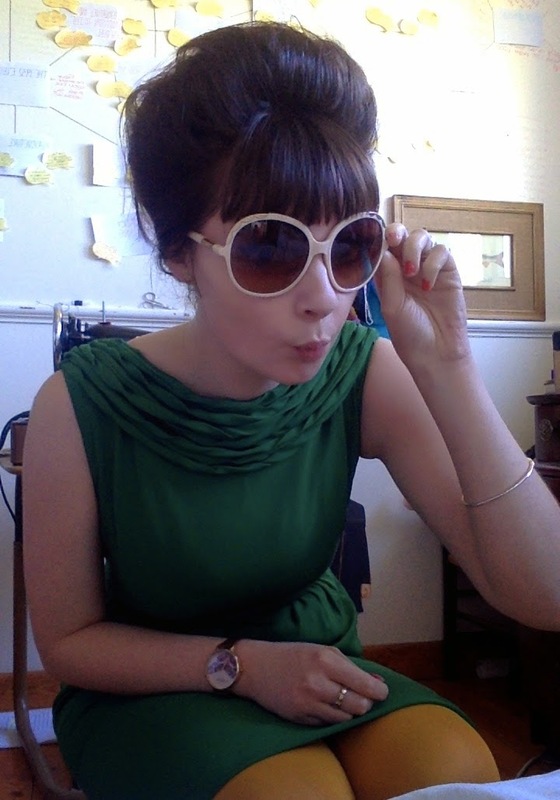 Today I donned a 60s number to revise in, feeling a little like a colourful canary. 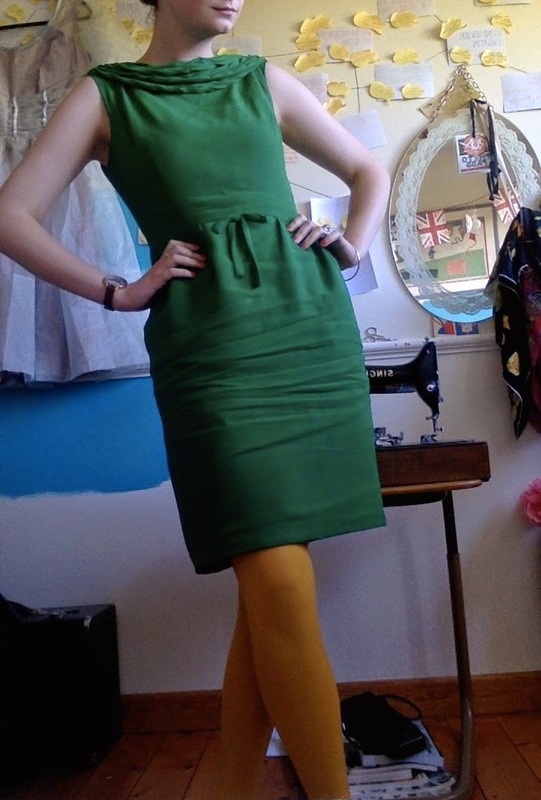 It was originally paired with some skin-coloured tights, but they weren't half as exciting as the possibility of this fabulous colour clashing opportunity. I embraced this opportunity wholeheartedly. 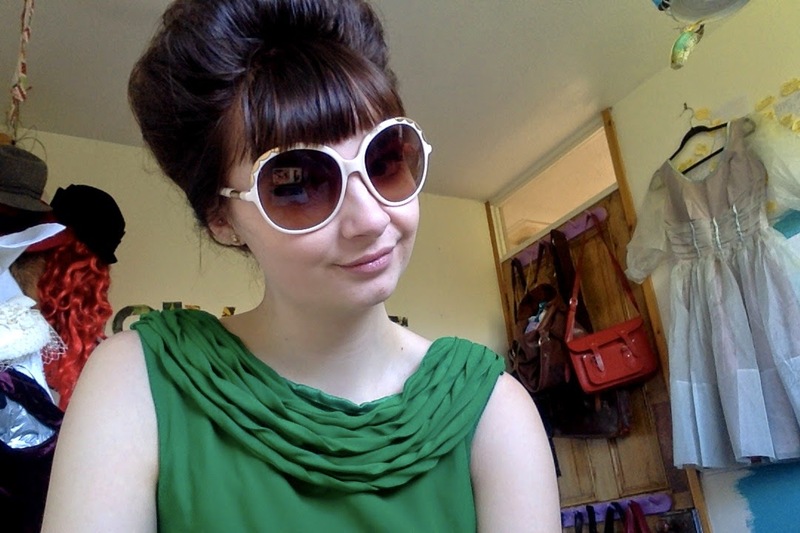 Also, if you are a VERY avid reader you will remember that these were the sunglasses which I won from Chloe (they are quite easily the most expensive thing I own BY MILES) so it's always jolly exciting to whip them out and I think they complimented this 6os ensemble nicely. I would just like to point out that, as obviously, all my photos are taken in my room you never get to see what footwear I'm sporting. To clear up any mystery it is always a pair of dodgy old white converses, which always ruin my outfit, because they are the only shoes I can lug books around in. Very glamourous.